VTEX Voice Solutions, a provider of dictation and transcription software now offering Dragon Medical Practice Edition and vScription Remote Dictation Services for customers. VTEX Voice Solutions, a provider of dictation and transcription solutions, is hoping to ease the burden of these mind-numbing tasks. Technology has grown to a point that allows us to increase our efficiency like never before. Yet, at times we still have to deal with very tedious tasks, including things like data-entry, record keeping and report writing. But VTEX Voice Solutions, a provider of dictation and transcription solutions, is hoping to ease the burden of these mind-numbing tasks. The company now offers the new Dragon Medical Practice Edition software package and vScription Hosted Dictation Services through their website vtexvsi.com. Medical dictation and transcription can be a costly expense for any practice. Dragon Medical Practice Edition, however, is a 99% accurate, out of the box solution specifically designed for health practitioners of all types. Nurses, doctors, aids and receptionists can dictate patient records, medical documentation and other practice-related text easily, significantly reducing medical transcription costs. The built in vocabulary was specially formulated with medical professionals in mind. Representatives from VTEX, who offer full support for the software, say Dragon Medical is one of the most popular products on their site. 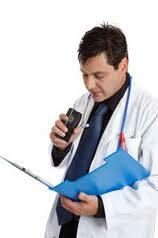 Not everyone that requires dictation and transcription solutions, however, is in the medical profession. That’s why VTEX Voice Solutions offers traditional transcription and dictation equipment and software as well. The newest addition to their arsenal is the vScription Hosted Dictation Service, powered by Winscribe. The great thing about the vScription service is the fact that one can get all the functionality they need related to dictation and transcription without having to purchase expensive on-site systems. It is a fast, secure and user-friendly platform that has a striking similarity to the popular product Microsoft Outlook. It also supports a wide variety of accessories that one may already have including foot controls, digital recorders and more. VTEX Voice Solutions is a Winnipeg, Manitoba based company with their own data center for use with services like vScription Hosted Dictation. The company has over 15 years of experience in the dictation and transcription services field and offers full support of all its products and services. To learn more about Dragon Medical or vScription Remote Dictation visit http://www.vtexvsi.com.